the goad abode: Baseball + Starbucks, what more do you want? Baseball + Starbucks, what more do you want? Happy Monday! I hope you had a great weekend. I spent some quality time with my man, hung with good friends, watched some sports, made a few trips to Home Depot and baked cookies. All in all, a good weekend for sure! For years, I've been a Red Sox fan. 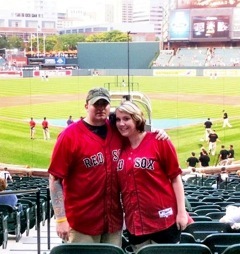 We even received a pair of coveted Green Monster tickets for our wedding! And this year is the 100th Anniversary of Fenway Park. It's the country's oldest ballpark and hands down, one of my favorite places in Boston. Even though it's a historic year for the team, they have struggled (to say the least) but my dear friend wanted to take me to a game for an early birthday present. Despite their recent string of losses and the fact that I couldn't name their starting lineup (due to recent injuries and my own negligence), I was really looking forward to a night at Fenway with Rachel. 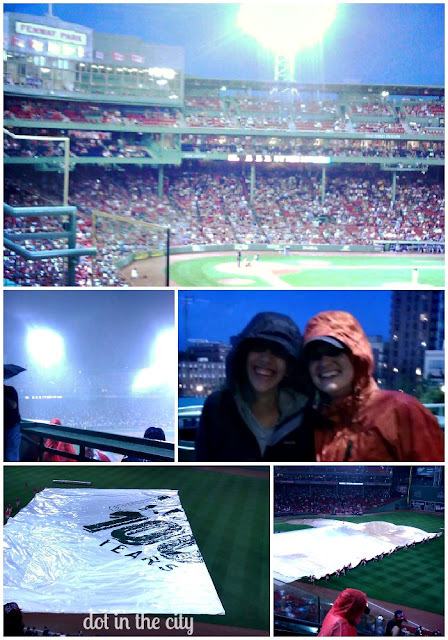 The team lost terribly and we only stayed through the fourth inning, but it turned out to be a very memorable night. The forecast was for "intermittent rain, heavy at times" and let me say, it was 100% accurate. It was one of those soaked to the underwear experiences ;-) but I did manage to get a few photos and had a blast being in the city and catching up with Rachel. Introduce yourself and your blog. Hello all! 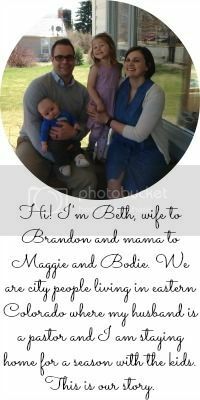 I’m Beth, the girl behind the blog Arrow in the Eye. 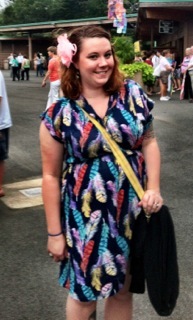 I’m a 20 something Southern raised very opinionated dog Momma and Red Sox loving wife to a nerdy guy named Josh. After moving away from my family, I decided to jump on the blog wagon and start one up to help keep in touch with friends and family I left behind. My blog mostly documents my adventures in junktiquing ( junking + antiquing = junktiquing), thrifting my travels across the country, my attempts at being a working housewife and a giveaway or two. Hop on over and I promise you won’t be disappointed. What's your favorite blog post (choose up to 3) and why? Lessons from my Mother and Embarrassment Transfer on Blast are my two favorite post. Mainly due to the fact that they’re about my two favorite people, my mother and father. Plus it doesn’t hurt that the posts in themselves make you laugh. What's your favorite thing about where you live? If I had to pick one thing I like about where I live it would be the traffic, said no one ever. Despite the horrible traffic that surrounds DC, I really I love the range of food and antique places we have in Northern Virginia. You can literally eat a different type of cuisine every day for two weeks straight without repeating. As for antiques this place has so many good spots for shopping it’s not even funny. Overall, the DC Metro area is a great place to live if you don’t mind the intense traffic. Hands down my favorite season is fall. My favorite holiday is Halloween and I pretty much go all out for it. I’m that one house on the block that you’re in awe of due to all the crazy decorations. But guess what?! That's not all Beth has for you. There's a giveaway! 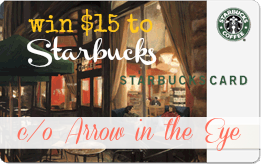 That's right, Beth is offering a $15 Starbucks gift card to one reader. I just had my first fall flavored drink of the season over the weekend (enter using rafflecopter below)! my favorite season is spring by fall comes in at a close second!! i'm def not a red sox fan (i'm a Cleveland Indians fan) but i really appreciate the long history of Fenway! Fall is definitely my favorite season! Fall is my favorite! It is so crisp & cozy! Fall has to be my favorite - the smells, the fashion, the food! Mine is ever-changing depending on the time of year :) right now it is fall.. For the cool, crisp air, scarves and sweaters, and all of the delicious food. Has to be Fall. Love the warmer temps during the day and cooler nights. Sleeping with the windows open and wearing sweaters! My favorite season is summer, but after the ridic heat this year, I'm so ready for fall. My favorite season is summer because I love swimming, and there are lots of free concerts and festivals during summer months where I live in Northern CA. Winter is my favorite--since I live in the South it's not actually very cold. It's refreshing! Autumn! It has always been autumn as long as I can remember. I definitely LOVE Autumn, especially now that I am in Colorado! Fall. No doubt! :) I have always loved fall. Just found your blog from twitter! excited to be your newest follower - just in time for a GIVEAWAY! sweet! cute cute blog! P.S. Pumpkin Lattes and Chai Teas are my favs at Starbucks. I am definitely with everyone else here in the liking fall category. How could you not? Winter! I LOVE the cold! Who is ready for crisp?